Ann H. Klem, age 99 of Kenosha, passed away peacefully on Tuesday, October 30, 2018. 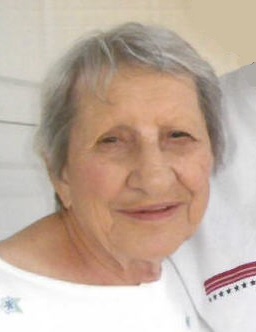 A lifelong resident of Kenosha, Ann was born on August 11, 1919 and was the daughter of the late Julius and Anna (Jakube) Hodal. On August 1, 1941, at St. Anthony Catholic Church, she was united in marriage to Charles Klem. After nearly 48 years of marriage, Charles preceded her in death on April 19, 1989. She was a member of St. Anthony Catholic Church. Ann will be remembered for her enjoyment of her daily vodka martini. Ann is survived by her three sons, Charles (Mary), Thomas J. (Sheron) , and Alan (Tammie) Klem; six grandchildren and ten great grandchildren. In addition to her parents and husband, she was preceded in death by four sisters, Mildred Hodal, Helen Henry, Mary Jane Greno, and Stephanie Montemorro, and her brother, Rudolph.